Alfonso Cuarón Orozco was born in Mexico and moved to London in 2000. He is a famous screenwriter and director who has been a part of more than seventy movies. Alfonso has begun his career as a technician at the television, and now he is a world-wide recognized film director. His first success was Y Tu Mamá También (2001), a colorful and provocative movie. He also was the main Jury at the 72nd Venice International Film Festival. Alfonso is a child of Alfredo Cuarón and Cristina Orozco. Both his parents field of activity was medicine. Cuarón also has two brothers: Carlos José and Alfredo. Carlos is a film director too, and Alfredo is a biologist. The role of the family in Alfonso's life is not that clear and openly discussed. We know for sure that one of the most important people in his childhood and in his life at all was his nanny, Liboria Rodríguez. She has been raising Alfonso since he was less than one year old and she was the inspiration for his latest movie, Roma. Cuarón studied philosophy and filmmaking in Mexico. While he was studying filmmaking, he met Carlos Marcovich and Emmanuel Lubezki, who were cinematographers and they created together the first Alfonso’s short film, Vengeance Is Mine. Alfonso’s career began with working on TV first as a technician and then as a director. He has assisted for a few movies such as La Gran Fiesta (1985), Gaby: A True Story (1987), Romero (1989). In 1991 he directed his first film, Sólo con Tu Pareja that was co-written with his brother, Carlos. The film had a huge success and after that, Sydney Pollack, an American film director, offered Cuarón to direct an episode of Fallen Angels, TV series (1993-1995). His first feature film that was produced in the U. S., was A Little Princess, an adaptation of Frances Hodgson Burnett's novel. Alfonso’s next film was also an adaptation of Charles Dickens's Great Expectations (1998). For the next project, Cuarón returned to Mexico. It was Y Tu Mamá También (2001), really provocative comedy for which Alfonso got an Oscar nomination for Best Original Screenplay that he shared with his brother, Carlos. 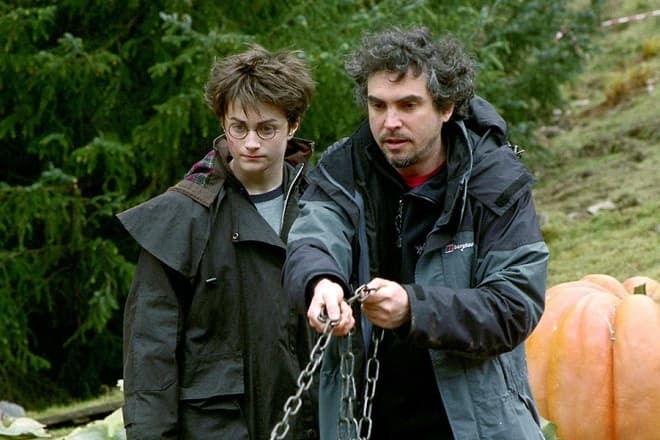 In 2004 Alfonso directed Harry Potter and the Prisoner of Azkaban, the third film in this series. For that work, the director has got a lot of criticism, but J. K. Rowling, the author of Harry Potter, approved it and praised Alfonso. In 2010, Cuarón began to create the film Gravity, where the producer, David Heyman, joined him at work. In 2013 the film was released, and it opened the 70th Venice International Film Festival in August. For that movie, Alfonso got twelve awards. In May 2015, Alfonso was elected as the President of the Jury for the 72nd Venice International Film Festival. In 2017 Alfonso was invited to the Masterclass timed to the Cannes festival to talk about his experience as a filmmaker with a French critic, Michel Ciment. 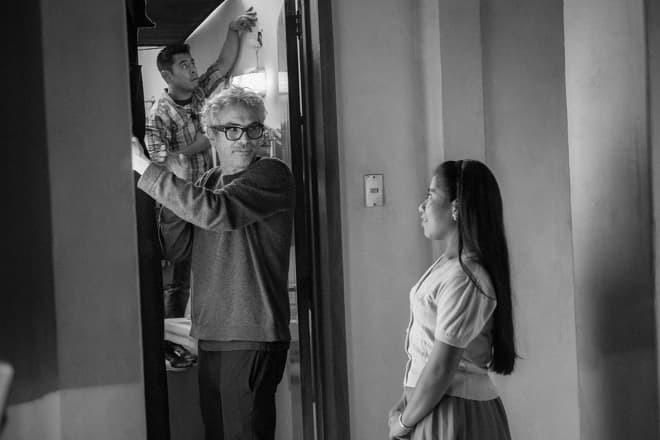 In 2018 the world saw the new creation Cuarón, Roma. This film was called after the Mexico City neighborhood of Alfonso’s youth; it is rather autobiographical and connected to the director’s childhood. In one of the interviews, Cuarón said that he had dedicated this film to Liboria Rodríguez, his nanny. Even the Roma trailer had success; it demonstrated a mix of good and hard times, and all this is black&white. Since the 2000 year Alfonso has been living in England, London. He has been married twice. 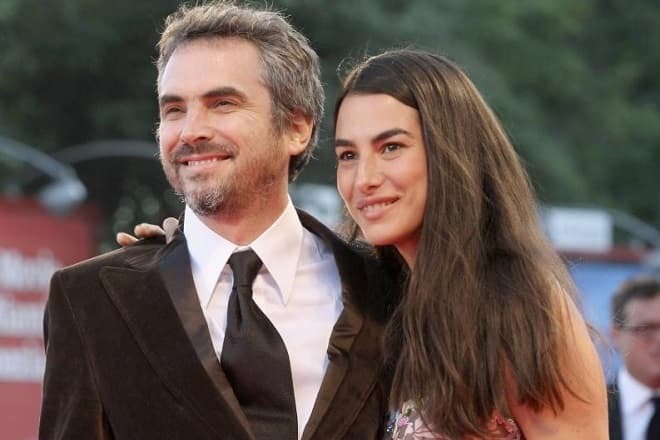 His first wife was Mariana Elizondo, from that marriage he has a son, Jonás Cuarón (born in 1981), who is also a screenwriter and film director. He also was a co-author of Alfonso’s movie Gravity (2013). In 1993 Mariana and Alfonso got divorced, and in 2001 Cuarón married a journalist, Annalisa Bugliani. They had two children: Tess Bu Cuarón (born in 2002) and Olmo Teodoro Cuarón (born in 2005). This marriage broke up in 2008. One of Alfonso's friends is Alejandro González Iñarritu, also a film director. They call themselves collaborators; they grew up creating films together. Alfonso is a supporter of the Esperanto language, an interlanguage that can help people with different nations to communicate. By the way, Cuarón’s production company is named Esperanto Filmoj. That year Alfonso won a lot of awards for his Roma, including Academy Awards as the Best Director. In his touching Oscar speech, he paid tribute to the home workers around the world. Cuarón’s movies list is expanding, and it was already announced about the upcoming movies: A Boy and His Shoe and Ascension. The date of release is unknown yet. For the 2019 year, Alfonso's net worth is $50 million. 2001 – Venice Film Festival. Category: Best Screenplay (for Y Tu Mamá También). 2003 – Independent Spirit Awards. Category: Best Foreign Film (for Y Tu Mamá También). 2004 – BAFTA Children's Awards. Category: Best Feature Film (for Harry Potter and the Prisoner of Azkaban). 2006 – Venice Film Festival. Category: Laterna Magica Prize (for Children of Men). 2007 – British Academy Film Awards. Category: Best Film Not in the English Language (for Pan's Labyrinth). 2007 – Saturn Awards. Categories: Best Science Fiction Film (for Children of Men), Best International Film (for Pan's Labyrinth). 2013 – Venice Film Festival. Category: Future Film Digital Award (for Gravity). 2013 – Director's Guild of America Awards. Category: Outstanding Directing – Feature Film (for Gravity). 2013 – Producer's Guild of America Awards. Category: Best Theatrical Motion Picture (for Gravity). 2013 – AACTA International Awards. Categories: Best International Film, Best International Director (for Gravity). 2014 – Saturn Awards. Categories: Best Science Fiction Film, Best Director, Best Editing (for Gravity). 2014 –Critics’ Choice Movie Awards. Category: Best Director (for Gravity). 2014 – Empire Awards. Category: Best Director (for Gravity). 2014 – International Online Film Critics' Poll. Category: Best Editing (for Gravity). 2014 – Producers Guild of America Award. Category: Best Theatrical Motion Picture (for Gravity). 2014 – Academy Awards. Categories: Best Director, Best Film Editing (for Gravity). 2014 – British Academy Film Awards. Categories: Best Director, Best British film (for Gravity). 2014 – Golden Globe Awards. Category: Best Director – Motion Picture (for Gravity). 2018 – British Independent Film Awards. Category: Best Foreign Independent Film (for Roma). 2018 – National Board of Review. Category: Top Ten Films (for Roma). 2018 – Venice Film Festival. Category: Golden Lion (for Roma). 2018 – New York Film Critics Circle. Categories: Best Film, Best Director, Best Cinematography (for Roma). 2018 – Director's Guild of America Awards. Category: Outstanding Directing – Feature Film (for Roma). 2018 – AACTA International Awards. Categories: Best International Film, Best International Director (for Roma). 2019 – Independent Spirit Awards. Category: Best International Film (for Roma). 2019 – Academy Awards. Categories: Best Director, Best Cinematography, Best Foreign Language Film (for Roma). 2019 – British Academy Film Awards. Categories: Best Film, Best Director, Best Cinematography, Best Film Not in the English Language (for Roma). 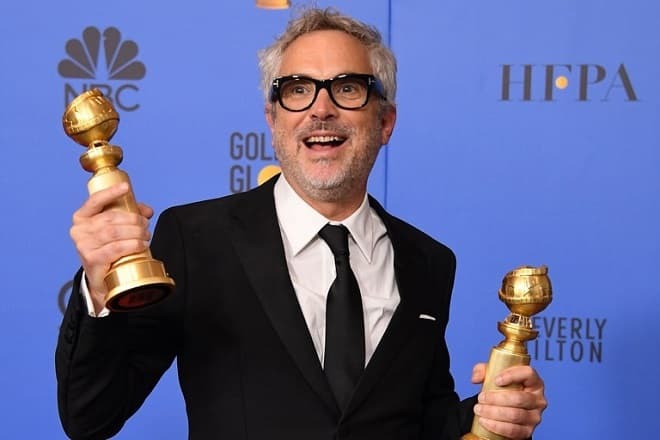 2019 – Golden Globe Awards. Categories: Best Motion Picture – Foreign Language, Best Director – Motion Picture (for Roma). 2019 – Satellite Awards. Categories: Best Director, Best Original Screenplay, Best Editing (for Roma).